This Cabernet Sauvignon is estate grown, produced and bottled at our 1,615 acre Napa Valley property, Somerston Estate. By combining fruit from multiple blocks on our property, the final product is a real representation of the diversity and uniqueness of our vineyards. 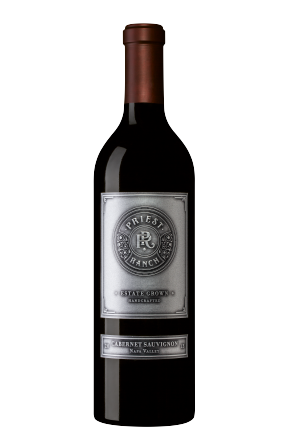 The 2010 Priest Ranch Cabernet Sauvignon is a full-bodied wine that has hints of currant and vanilla on the nose with dark berries and toast on the finish. Next time you're preparing a hearty meal of braised short ribs or a grilled ribeye, this is the wine you will want to serve. If you're looking for something lighter to enjoy your bottle of Cabernet Sauvignon with, your favorite blue cheese or aged cheddar cheese on a crisp cracker pairs equally as well.